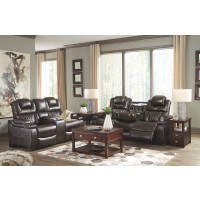 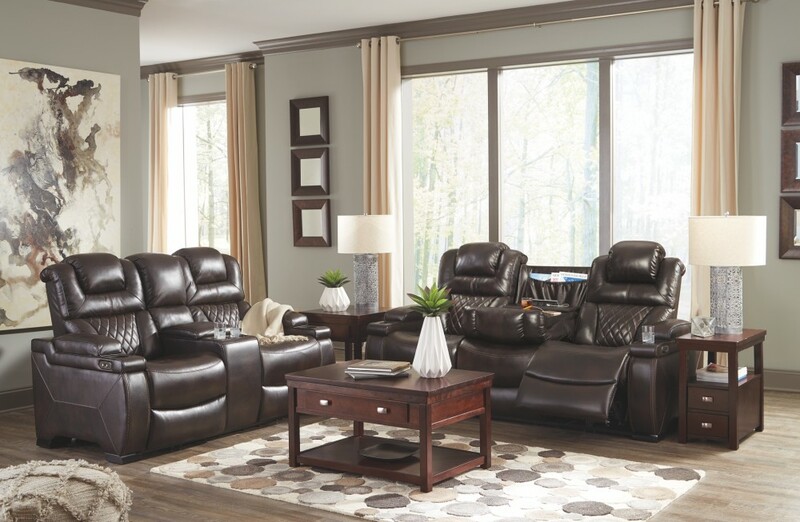 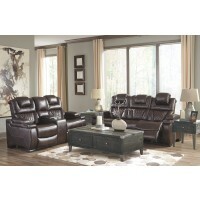 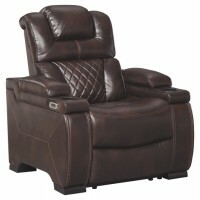 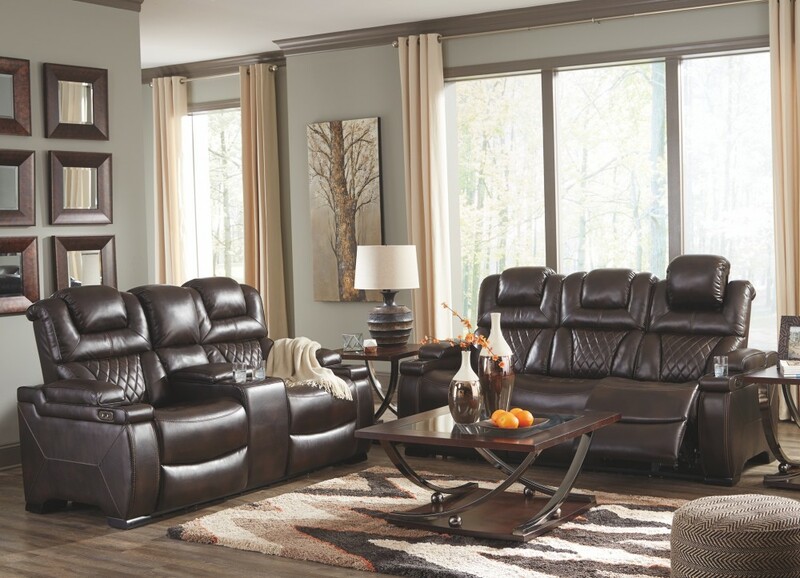 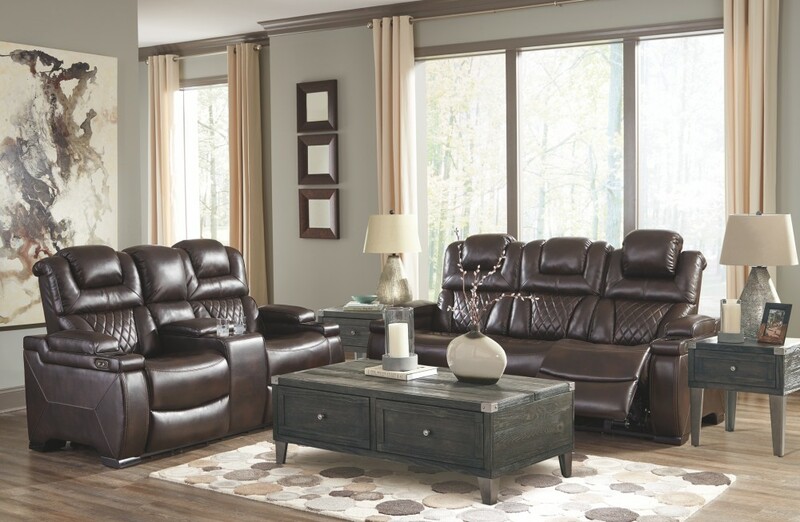 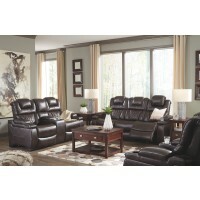 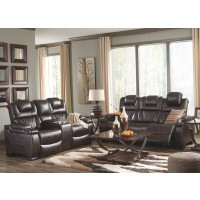 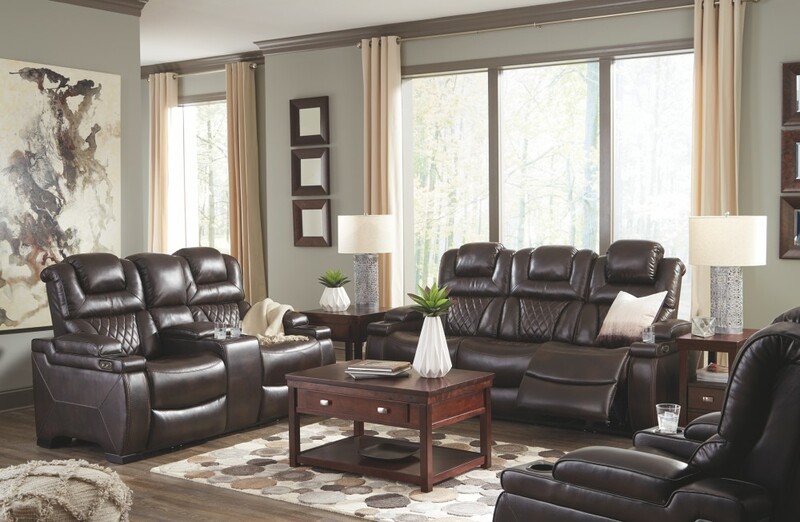 Your modern living room awaits with this power dual-sided reclining loveseat. 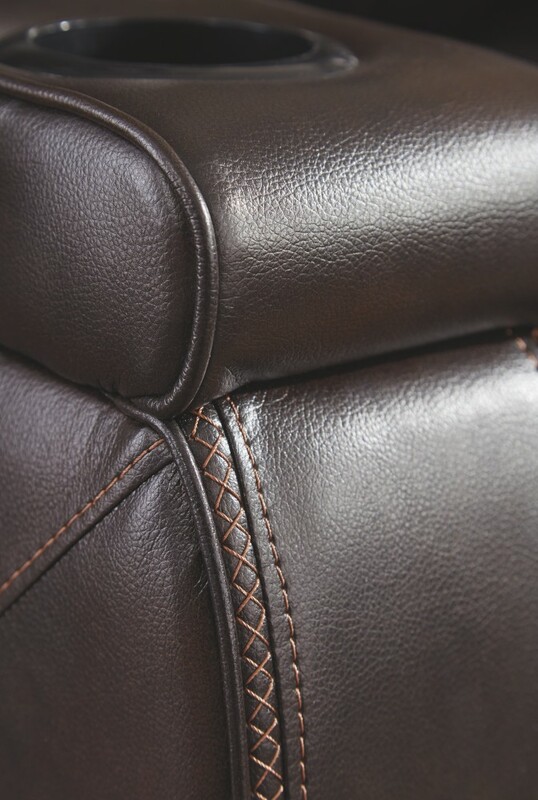 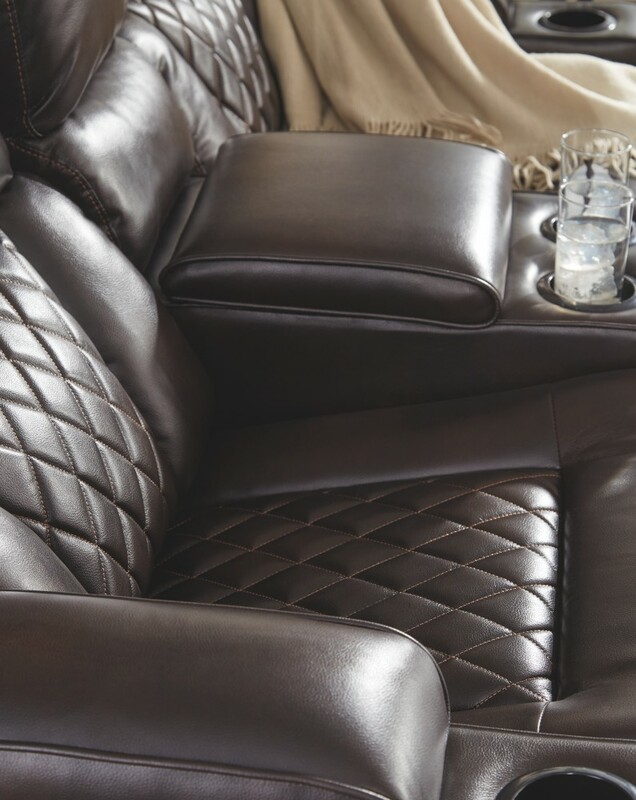 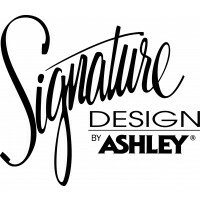 Complete with practical faux leather upholstery, one-touch power controls, adjustable headrests and USB ports, it makes finding the best seat in the house a breeze. 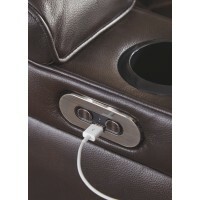 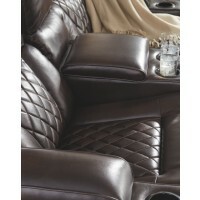 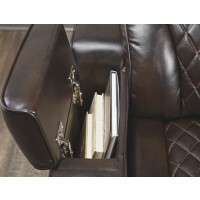 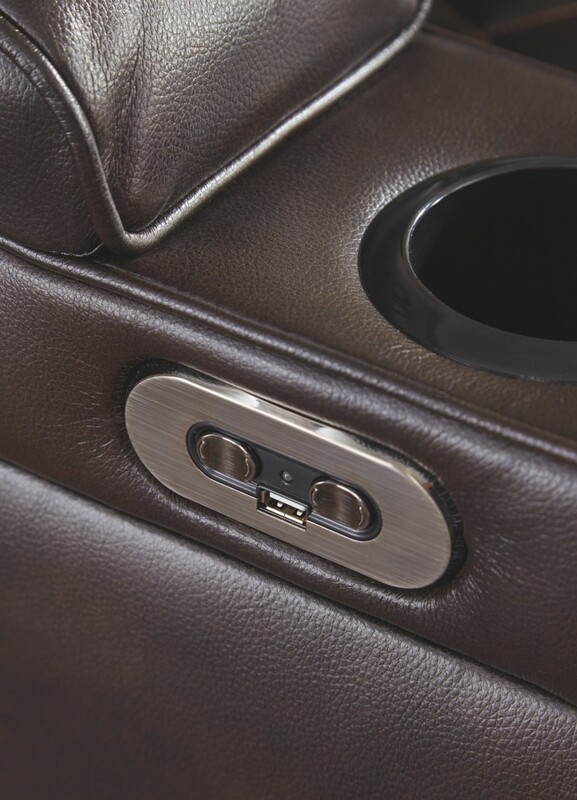 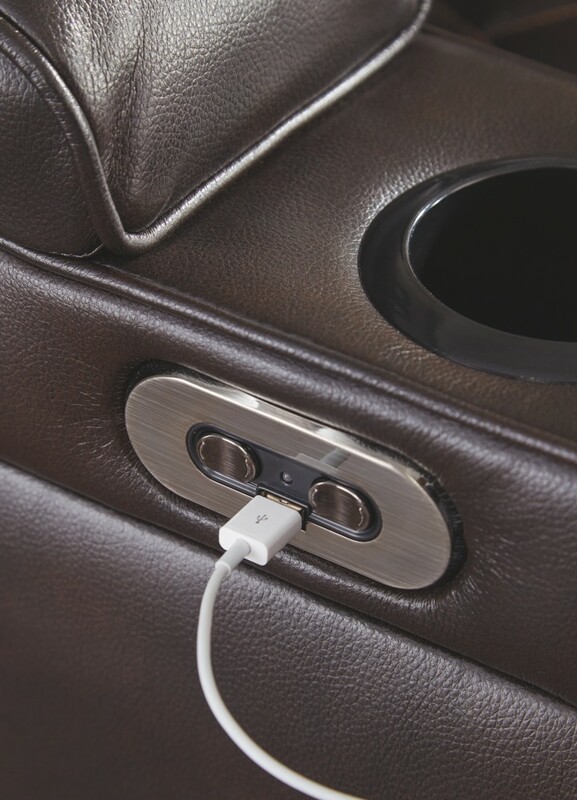 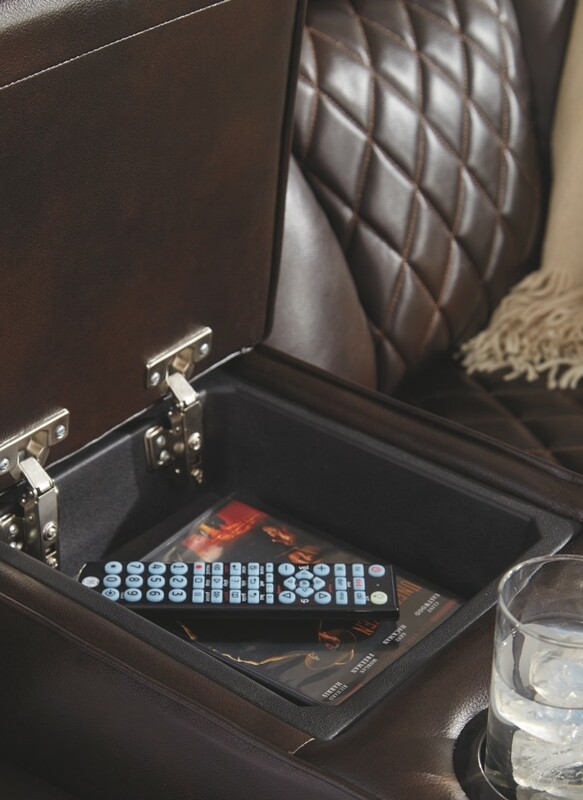 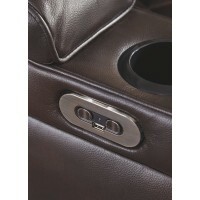 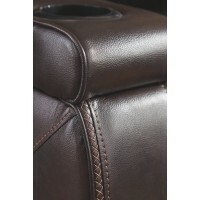 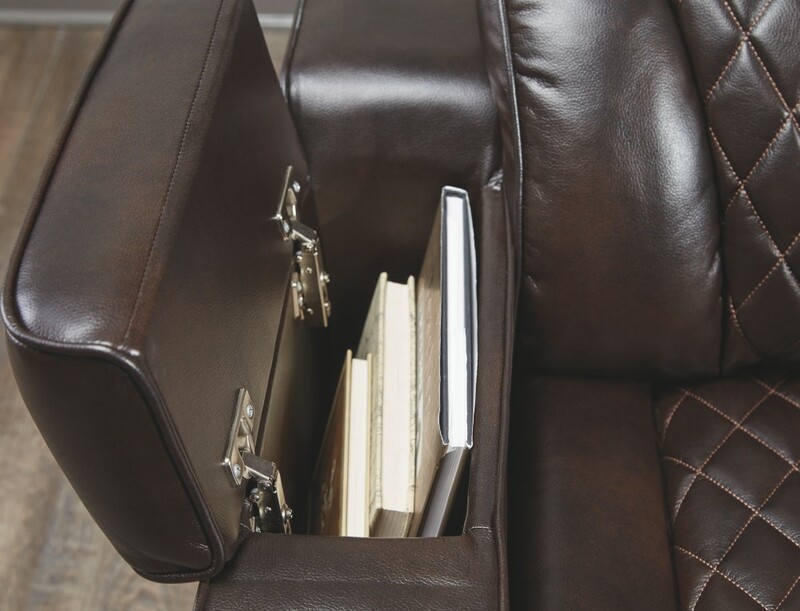 Cup holders and a storage console keep drinks, snacks and remotes close by. Go ahead—treat yourself to a high-design home theater experience, priced to put you at ease.